The practices on this page are shared to assist with anchoring a high heart vibration and alignment with the higher dimensional Earth. The New Age of Gaia we’re transitioning into is based in sharing, cooperation, love and compassion, a remembrance of Inner Divinity that begins in each of us. We each hold a unique viewing point as a spark of Source essence, and what is termed the ‘ascension’ or ‘shift’ from third dimensional to conscious multi-dimensional realization arises from centering ourselves in Unconditional Love ~ love beyond possession, limitations, dramas, separation, and stretched polarities of light/dark. Third dimension is a frequency band of contrast through duality, experienced through the vehicle of an ego-self or Personal I projected into this carbon-based density as a ‘local focus-point’, for exploration and creativity through a sense of individuated identity (which on this planet became separated from unity awareness and soul alignment). Fifth dimension (where the planetary consciousness Gaia has already established the New Earth) is a frequency band of experiencing and creating in harmony through union and unity-with-all-that-is, through focus of soul essence into a crystalline-based light-form (which is still a physical expression) the Light of Spirit energy, pure Love co-creating with love, for love. Fourth dimension, the ‘Now’ moment, zero point of the heart centre, is the meeting place of 3-5D. In truth, we exist within many dimensions simultaneously beyond the time-space construct of 3-4D, co-creating through a variety of soul expressions. 5D provides an incredibly beautiful access frequency either ‘up’ or ‘down’ (faster or slower) while still holding a physical lightform. 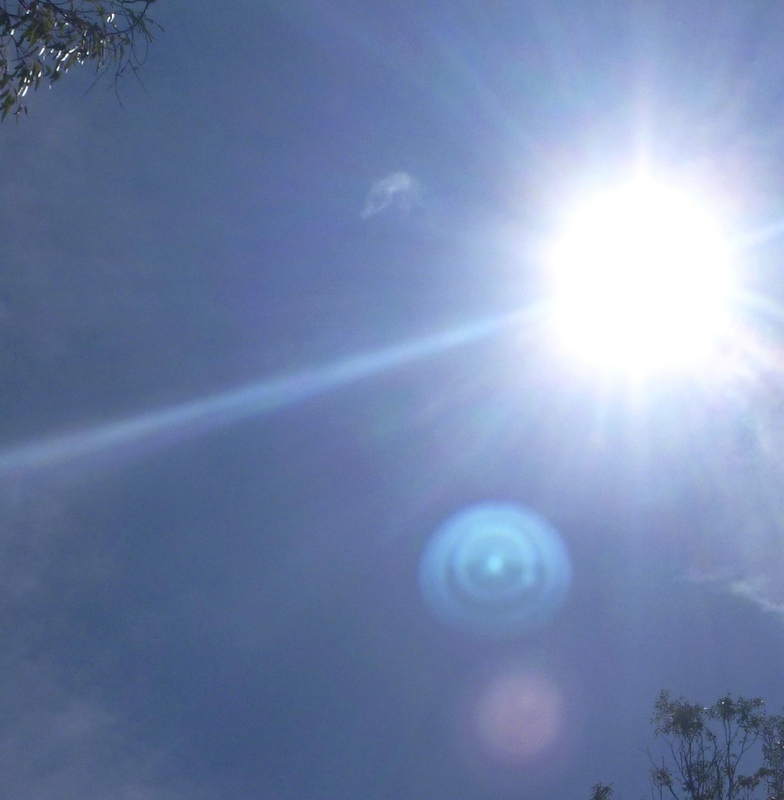 Beyond 5D, higher dimensional beings/consciousnesses can and do project representations of their exquisite Essence in the form of orbs, angels, diverse light-forms and collectively, in lightships. The clearer and more open our hearts, the more closely we’re able to remember and reconnect to our Inner Divinity (Higher Self/Source Self), multi-dimensional soul expressions, and associated higher vibrational soul families, soul groups and loving galactic communities. A stabilized alignment in that openness brings boundless joy and re-union, deeper inner knowing and sensing of all energies ‘in the mix’ of 3-4D (3D density and the lower astral-etheric-plasmatic aspects of 4D). Practices that open and clear the heart centre will be shared here (along with exercises for chakra balancing/frequency lifting, opening/stabilizing some key ‘new’ chakras in the ascended human template, and protecting/strengthening the integrity of your aura/torus field) in the way they have come from star family, higher self and specific soul aspects. I’m currently working on a small ebook where all the practices will be gathered in sequence, from basic to specific fine-tuning exercises. We’ll also speak there about going into your Inner Heart and creating from within your innermost sacred space, which you can find more about on the Inner Heart page. * Four Foundational Heart Practices can be read here. We recommend reading/feeling/working with these exercises first, and use the practices below on this page as they resonate or call to you. Sit yourself comfortably and focus into your heart chakra with some relaxed breaths. Connect yourself with Source and Gaia by envisioning yourself within a pillar of white light from Galactic Central Sun/Source Centre beaming down through your body and anchoring to the crystalline core of Gaia, so that you’re well anchored to the Earth. Take three slow, deep breaths, and on each breath gently invite the presence of your Higher Self to fill your heart and being. This will get your Merkaba (lightbody of two intersecting tetrahedra) spinning. The down-pointing (feminine) tetrahedron spins from right to left (counter-clockwise) and the up-pointing (masculine) tetrahedron spins left to right (clockwise), with the two crossing over and merging in the middle. 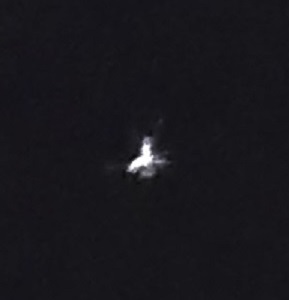 (*This is if you are in a female body; for a male the spins will be clockwise for the down-pointing tetrahedron and counter-clockwise for the up-pointing one). Set the intention for your Merkaba to spin at the highest available frequencies of Love and Light. Keeping your Merkaba in this high spin naturally keeps your energy field clear of dense or distorting influences. PS: Grounding is important, so you don’t ‘spin off’. You can ‘travel’ in your Merkaba (it’s your personal lightship) but for the purposes of this practice, if you find yourself feeling ‘floaty’, before starting next time, imagine a big tree behind you, with your back resting against it, and you’re attuning to the energy running through the tree, down through its roots, into the earth, and feel yourself as one with the rooted stability of the tree. They are expert grounders! The Tuberose (Rose Tube) Practice can be found at the end of this post. The Rose Chakra Practice (from Isis) can be found in this post. A Peony Rose Practice that works with the Well of Dreams Chakra can be found in this post. A Rose INception Practice from Rowena can be found here. 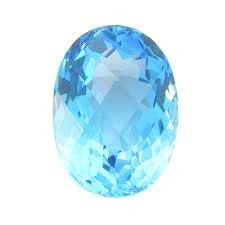 The Blue Pillar and Blue Diamond. This is the first practice given to me directly by a guide, called the Heart Infinity exercise. This comes from Sehaya, a feline being, known in ancient Egyptian times as the goddess Seshat. Sehaya is the record keeper of the Sirian High Council (Sirius A) and holds a 5D form as the consort of Ashtar on board the mothership Phoenix in the fleet of the Ashtar Command (part of the Intergalactic Confederation fleet). The AC has assisted many planets in many star systems through ascension stages. (*note: the word ‘Seshat’ is an Egyptian form of Paschat or Paschata, a subgroup of the Leonine beings). 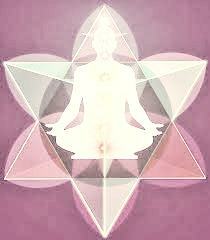 Take your focus into your heart chakra (behind the center of the breastbone) and take a few deep breaths in and out. Relax deeply into your in and out breaths until your mind is calm and still. Now visualize a pair of Infinity symbols, horizontal at the level of your heart centerpoint. They are right next to each other, and their inside loops cross over each other (forming a vesica pisces). The colour of the Infinity symbols is Blue. Where they cross over in the center is Violet. And around/behind them is a ring of Green. Hold this image in place for 3 slow inbreaths and outbreaths. Next, turn the Infinity symbols until they are vertical, and in the same crossed-over position, with the Green ring behind, and Violet center. Hold them for 3 slow inbreaths and outbreaths. Lastly, keep the vertical Infinities steady, and add the horizontal Infinities again, so you now have a form like a Cross made of four Blue Infinity symbols, cross-over in the centre, with the Green ring behind. Hold this for 3 more inbreaths and outbreaths. Relax, and feel any unsettled or lower vibrating energies clear from your heart, leaving it calm and peaceful. You can strengthen the raised frequency by turning the Heart Infinity symbol pure Gold at the end, and holding that as long as feels comfortable. With love and thanks to Sehaya. 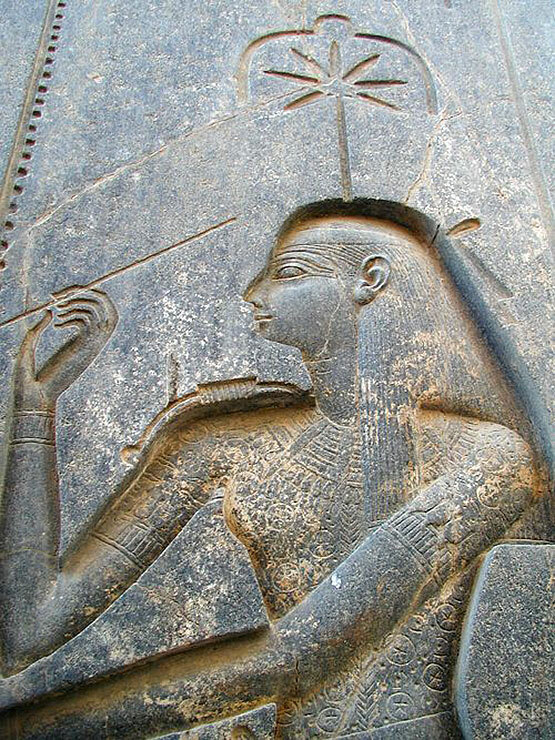 Carving of Seshat in the Luxor temple complex, Egypt. 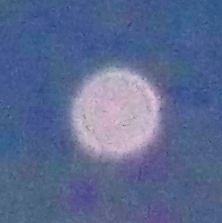 This practice came through at a time when a subconscious fear of the physical transforming process of Ascension manifested in my body not absorbing sunlight properly, and becoming deficient in Vitamin D as a consequence.This practice, given by Horus, helps ‘refine’ the energies in the lower chakras/fear centres and balance the energies in all the chakras, including two ‘new’ chakras associated with the heart. This visualization includes the seven traditional chakras (portals of energy/energy centres); base, sacral, solar plexus, heart, throat, third eye and crown, plus two newly forming heart chakras (there are other newly forming secondary chakras too, and chakras beyond the physical form; see the Archives for a Chakra post about this). The two extra heart chakras are the higher heart, halfway between the centre of the sternum and the throat (purple-gold/rose colours) and the sacred heart, behind the xyphoid process, where the lower ribs meet the sternum (peachy gold colour). Together with the traditional heart chakra, they form a complete expanded heart centre. 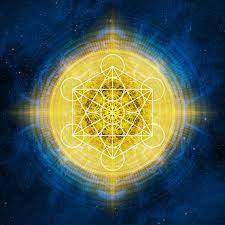 Each chakra has its own colour vibration, but for the purpose of this exercise they are all visualized as golden, like little suns. For the first stage of the practice, begin in the Heart Chakra and visualize it as a shining golden sun. Do the same with the other two heart chakras, so you have 3 glowing Suns. Then move down to the lower three chakras, and visualize Suns in the solar plexus, sacral and base chakras. Now you have 6 Suns lit. 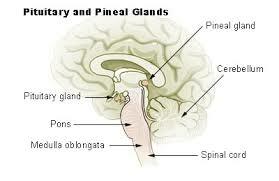 Then go up to the upper three chakras, and visualize Suns in the throat, pineal and crown chakras. When all 9 suns are lit, starting from the Heart, move your focus down through the lower chakras. Are they all shining with the same brightness, or are some dimmer than others? Any that look dim, see them become brighter until they match the Sun in your Heart. Now go to the upper three Suns, and do the same, until all the chakra Suns are glowing the same, equally balanced in their light. I suggest working with this practice until it feels ‘steady’, before incorporating the second stage. When you have the 9 Suns lit and balanced, starting from the Base Chakra, visualize golden wings attached to its Sun, on either side. Intend/feel the wings moving rapidly, beyond visual range, like the wings of a hummingbird as it hovers by a flower. Work up through each chakra, giving each Sun wings, until you reach the Crown. Hold the intention of each chakra’s frequency lifting as it absorbs solar light-streams from Source, and anchors them in each chakra, from Crown to Base, then down into the core of Mother Earth. Hold this visualization for as long as feels comfortable. You may wish to incorporate just one ‘set of wings’ at a time, starting from the base. Take it at a relaxed pace, and give each chakra time to assimilate the higher frequencies, as you progress. When you’ve finished, always focus back into your Heart centre, and see/feel your heart as a warm, radiant Star. Have fun, and happy balancing! 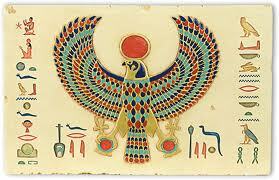 With love and thanks to Horus. Do you feel as if your energies are running too fast and unbalancing? Or that your etheric body or other layers of your auric field are in a state of such heightened sensitivity that they are being ‘bombarded’ by collective psychic vibrations, electromagnetic frequencies, solar flares etc? The key to inner Balance is to focus into your own Heart Centre, your Source place of Love, so regularly that it becomes your natural space to BE in, which lifts and stabilizes your frequency. While mastering this inner centredness and balance, you can also ease sensations of ‘friction’ and oversensitivity to external lower vibrations with this practice given by Archangel Gabriel. This visualization/intention can also be used in any moment your subtle bodies/ especially the etheric body which is wrapped closely around your physical form, feels heavy, or depleted in any way. Sit comfortably and relax your body, while taking in a few deep breaths. Start with seeing yourself in the centre of a pillar of white light that runs from Source (above your head) to Gaia’s heart centre or Core (below your feet/ centre of the Earth). 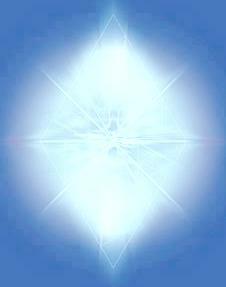 Bring your focus into your Heart Centre, and ‘fold’ the white light around your body, letting it soak into every cell. Extend it a few inches around your whole form so that your etheric body is completely enclosed in white light. 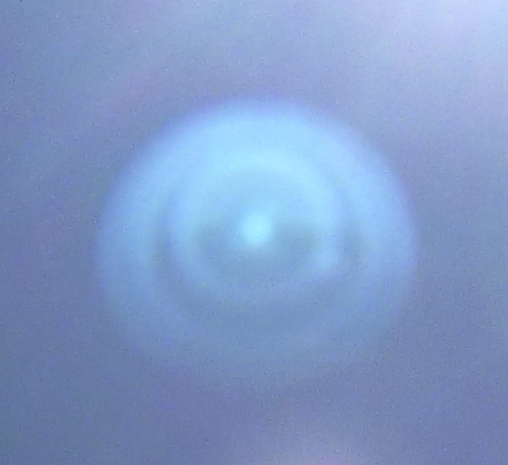 See your etheric body, and hold the white light around yourself until your etheric body glows luminous white, then bring in light aqua blue light (AA Gabriel is saying ‘aqua’ specifically here, which relates to the soothing fluidity of pure water). Hold this visualization for as long as comfortable, breathing deeply and slowly. ‘Crown breathing’ (imagining breath coming through the top of your head into your body – think dolphin or whale-like) will facilitate this exercise. Aqua light merges the white light into the ‘body energy pattern’ held in the etheric body, and aligns it to the incoming Ascension energies; it helps the etheric body gracefully adjust its vibrational ‘grid’ or ‘lace’ to incorporate the rising frequencies. This in turn facilitates the dense physical body’s DNA/RNA in uptaking the 12-strand Light stream, as smoothly as possible. 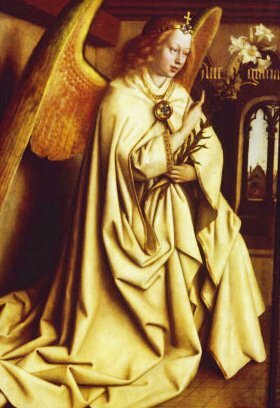 Thanks and Love to Archangel Gabriel. INception refers to the process of allowing the INflow of Source’s higher dimensional frequencies of the Divine Child into our unlocked, opened, cleared and cleansed cellular structures, DNA and ions (minute subtle particles), through the conduit of the balanced and merged sacred masculine and feminine within you. Below is a very simple practice for fine-tuning and ‘keying-up’ your receptivity to taking in and harmonizing at a physical and etheric level the highest frequencies now available. On Christmas Eve 2013, this practice came from Rowena (a 5-6D aspect of my Self on board the Phoenix), for merging sacred masculine/feminine and receiving/grounding the child energy. Relax, slow your breathing, and focus into your Heart centre. Crown breathe (think whale or dolphin) white light into your heart and through the chakras in your body, opening the prana tube. Love and thanks to Rowena. *Archangel Metratron’s ‘Cube’ is a sacred geometric form that combines the six-pointed star, flower of life, fruit of life and hexagonal form/sextile, as a 2D representation containing a multi-dimensional cube (a cube has six sides or faces). With thanks and love to AA Metratron. 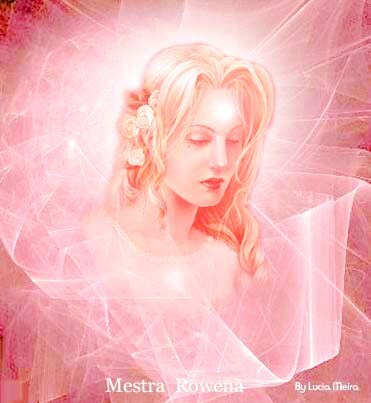 This visualization exercise came from Ashtar and Sananda, February 2014, as a daily ‘lead-up’ to the March Equinox, which is the initiation point of an influx of the Rose Ray (the frequency of pure Divine Love/Self Love as Source). 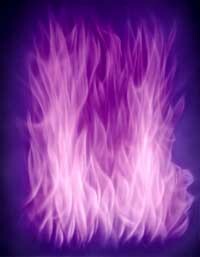 The Purple Flame opens the heart centre to receive higher Love, through the vibrations of compassion and mercy that clear away judgement energies and low self worth, and can be used at any moment when you feel those energies present in your being. Clear them with the Purple Flame and its spectrum; the Violet Flame of clearing and transformation, the Magenta Flame of emotional freedom, the Deep Purple of pure creative passion and fearlessness, and the Royal Purple of compassion for ALL. Enjoy the practice! And remember it can be used anytime, not only pre-Equinox. Sit comfortably, breathe deeply and relax. Take your focus into your Heart Centre, and put your hands on your knees or thighs, with palms facing upward. See the Earth resting in your hands, large enough that the Core of the Earth is level with your Heart Centre. Now see an Infinity symbol of golden Light between your Heart and the Core of the Earth, with the ‘tips’ of the Infinity touching your Heart and the Earth’s Core, connecting them. See and feel golden Source Light flowing through the Infinity, between you and Gaia. Now visualize the Purple Flame of Compassion, Mercy and Freedom enveloping the whole Earth, and see it bathing the hearts of all humanity and all life on the planet, animals, plants, the mineral kingdom, and non-physical beings. If you wish, ask aloud for all beings and all of humanity to embrace all qualities of the Purple Flame – including the Violet of Transformation, Magenta of Emotional Freedom and the deep Purple of Passion, Creating Life with Pure Love. Hold this visualization for 3 minutes or 9 minutes, or 33 seconds or 99 seconds, whatever you can do (you do not have to watch a clock; hold your intent for those number vibrations, which are Trinity and Angelic). Please continue this practice daily, until the Spring Equinox (March 21st, when another major energy shift will come through), and feel in your Heart how you are connected to all other people holding this focus, embraced in the energies of the holders of the Purple Flame, Lao Tzu, Quan Yin and the Archangel Zadkiel. 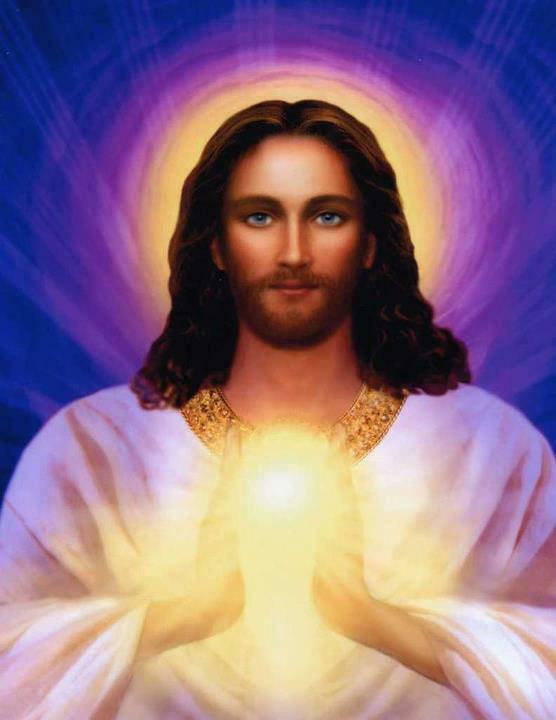 With thanks and love to Ashtar and Sananda, Mother Gaia and the Keepers of the Purple Flame in all its frequencies. This practice activates two ‘new’ (or re-available) chakras in the ascension template that have a role in dissolving the ‘gap’ projected by the ego/local self between higher and lower (faster and slower) frequency bands. Closing that illusional ‘gap’ enables our inherent nature of creating in harmony with Source, to BE the conscious co-creative beings we truly are, and allow the higher vibrational reality to flow through us, into our Now. 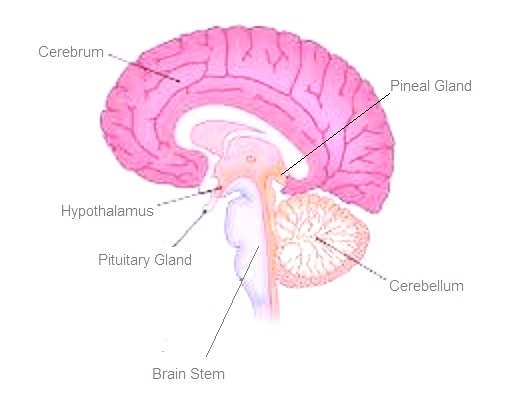 These two chakras, the Pituitary Chakra and the Well of Dreams Chakra, correspond to the pituitary gland and the brain stem (between pons and cerebellum area of the brain; see diagrams below). With love and thanks to Rowena. NB: Visualizing/focusing your attention with the flower Peony Rose in/around the Well of Dreams Chakra is also very helpful. As a flower essence, Peony Rose is used for ‘dispelling nightmares’, and assists beautifully with releasing fear programming from the hindbrain and opening it to the inflow of higher Love. Open your base chakra (red), sacral chakra (orange), solar plexus (yellow), sacred heart (behind the xyphoid process, peachy gold), heart (green), higher heart (midway between heart and throat, gold and purple/rose), throat (blue), third eye (violet) and crown (white). Now return to the base, and visualize each chakra turning into a golden ball of light, up to the crown. Check their balance; if any are fainter than the rest, give them more light. Return to the base again, and visualize within the ball of golden light a pure gold butterfly, its wings fluttering so fast they are just visible. Add a butterfly to each chakra. Hold this vision of butterflies in each chakra, while maintaining the radiant star of the Earth Star, Heart and Soul Star chakras. Later on, you can bring new smaller chakras into this exercise, but I would start with the central chakra column. 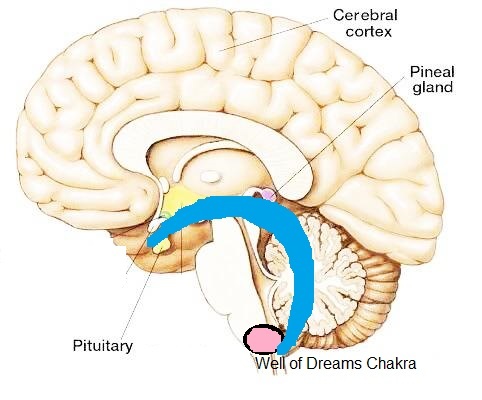 Here are the 9 chakras within the physical form (4 major chakras above the heart, and 4 below), with the Well of Dreams, Resurrection and Pituitary Chakras shown in the head. Together with the Soul Star above the head and the Earth Star below the feet, this makes 14 chakras (14=5, the 5D Ascension Template) or 22 ~ the 4 of Divine Love, which can be expressed vibrationally as the Double Infinity or Rose Cross ~ if you include the gateways above and below, to Source and Gaia. If you feel drawn to do so, you can work with this whole ‘vertical axis’ from Source (through the Great Central Sun) to the Heart of Gaia, as shown below. * Before opening your chakras, always use a practice such as the Golden Apple, that gives your personal torus a Light envelope within the field of dense energies of 3D-4D, and allows you to keep your chakras open consistently while staying clear of lower energy implants etc. The Golden Apple can be found in this post. Always centre in your heart first, align with Source, ground with Gaia. Take a few deep breaths, relax in calmness, feel a star of pure white light ignite in your heart chakra and spread out through your whole auric field. Hold this for at least 30 seconds. Now breathe in golden light to your heart and feel it fill and surround your entire aura/torus field. Let this merged blue and white light fill you and form a radiant column around you; feel the white light of purity and the blue light of truth & protection hold you in calm, steady alignment with Source. Red energy sits in your base, providing a solid foundation, grounding you with the earth, life force to be flowed and steered by a joyful heart and clear perception, rather than flying about as anger, impatience, frustration, worry or rash actions. With love and thanks to Ashtar/Archangel Michael. This visualization comes from my Twin Flame, Ashura, for strengthening and keeping crystal clear your Bow, the ‘bow of the three chakras’ in your head that form a crescent, from Pituitary Chakra (sky blue) to Pineal Chakra (violet) to Well of Dreams Chakra (light rose pink, at the brainstem/cerebellum meeting point, sends messages to the lower chakras). 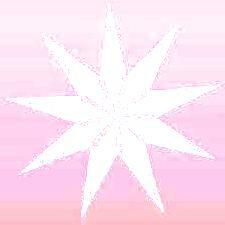 Centre in your Heart Star, and expand it throughout your auric field. Breathe golden light into your heart centre, and radiate it through and around your auric field as a Golden Apple of Light. Open all your chakras from base to crown. 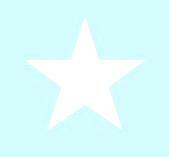 Hold the three White Stars and feel the whole Bow as golden-white light, stable, secure, free in Love, connected with your Heart Star and Crown. If you wish, let the 9-point star descend from the Well of Dreams down your central column to your base chakra, then down toward the centre of the Earth. This helps lift the vibration of the lower chakras, and stabilize them above the frequency of the ‘old grid’ messages of fight or flight, fear of death etc. You may also wish to open your three main Star Chakras, the Earth Star (under your feet), Heart Star (centre of chest) and Soul Star (above your head) and also see them as three big stars of white Light. With love and thanks to Ashura. A visualization and sounding exercise from Ashura & I to focus the energy of Providence into the global frequency field. Bring your focus into your heart centre, relax and breathe deeply into it, feeling the rhythm of your breath as One with the rhythm of the tide of Life. 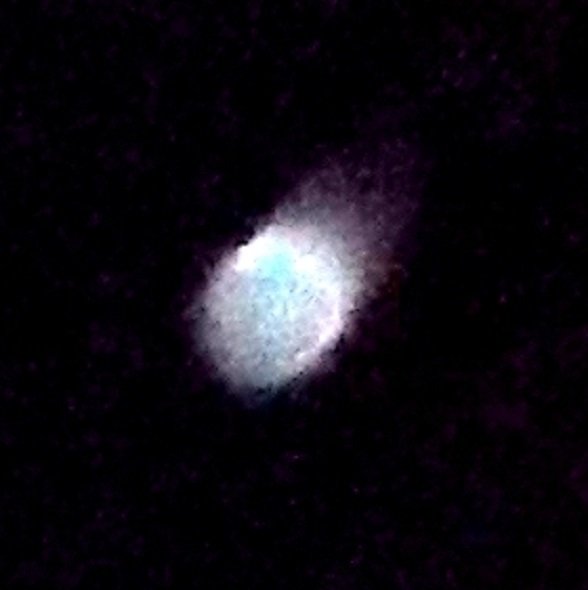 Visualize a bright white star or ball of Light in your heart centre. When it is fully bright, let it radiate out through your being, through your physical body, all its water molecules, out through your mental and emotional field, dissolving heavy ‘ego-ized’ energies so you feel free, light and joyful. A practice from Ashura & I for transmuting distorted or disrupting energies in your personal field/being, which can also be used collectively for the whole planet (by expanding it around the Earth). Now let that warmth, love, and divinity expand softly all around you so that it fills your torus field, your aura, completely. 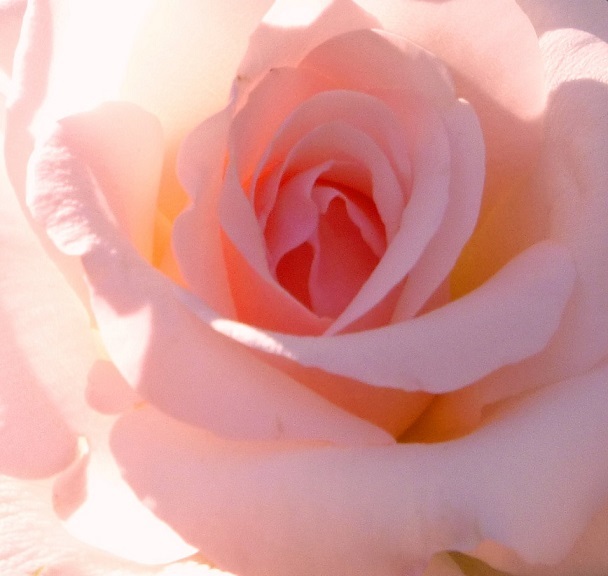 Feel your whole BEing immersed in the rose-gold light of warm Divine Love. Keep breathing deeply, relax wholly. Then call forth any distorted, unsettled or tight energy ‘bundles’ in your energy field. They may be obvious to you – energies you’re already consciously aware of and ‘working on’, or they may be hidden from view – veiled in the subconscious. But now is the moment for all energies within your field not aligned to the highest Light, Love and Life to come forward. They may appear visually to you, large or tiny, faint grey to dense black, depending on the ‘hold’ and ‘charge’ of the energy. Or they may just be feelings connected with relationships, work, health, society, collective fears and so on. Be peaceful, release those bundles now into the rose-gold light with your blessing and love, and see them transmute and dissolve into that light. Relax and bathe in the rose-gold, feel your true inner self’s loving energy, the Love that it springs from. Do this as often as you feel to, for clearing and aligning. Thank your Inner Divine, thank Source, and you guiding Lights. 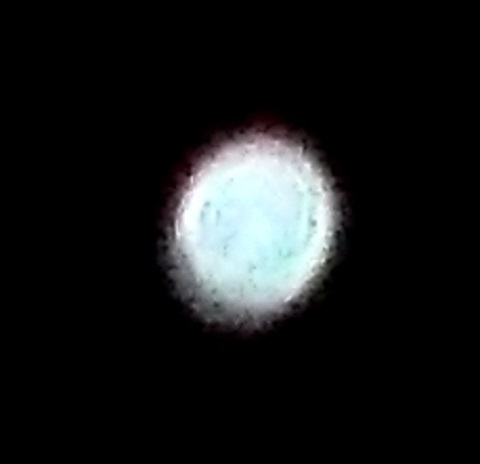 This visualization and spoken intention/decree is for clearing implants and dense energies/entities from the physical body and energy field, and comes from the Antarian feline beings. The original Kaiba Crystal is one of the Lyran shards, now housed in Antares under the protection of the feline beings of Antares, and the Kaiba are a leonine soul family who have made many hundreds of thousands of copies of this Crystal, with its frequency imprinted in them, which are then dispersed and used widely among star families for transforming energies. This has many ‘technical applications’ in terms of higher dimensional ‘technologies’, lightships etc, but for our current purposes during the Earth Shift, the vision and words given are ‘Kaiba Crystals dissolve cyber-crystals’. ‘Cyber-crystals’ in this context refers to control devices/nano crystal chips used as implants in humans (both physically and etherically), technological devices, also in modified foods and some medications…and are literally ‘de-humanizing’ devices. Kaiba Crystals have been used in many planets and star systems to neutralize these devices in physical and dissolve them from the etheric body during/prior to planetary ascensions that eventually go beyond the frequency range/reach of such control devices. All Kaiba Crystals are violet-coloured, with a point of white Light in the centre. When dissolving implants/chips/devices, if the location of the device is known, a visualized Kaiba Crystal can be projected around that location, surrounding it. Otherwise, you can visualize a Kaiba Crystal around your whole body, or auric field – and this can also be done if you feel so inspired, around your house or land, with the intention of neutralizing and dissolving all physical and etheric controlling devices, entities and energy grids. In this Now, in accordance with my Inner Divine Self, my highest good, and the highest good of all, I permanently revoke all permissions I have ever given willingly or unknowingly to any being or force that seeks control of my being. I call on the Divine Love, Light and Grace of Source to neutralize and dissolve the energies of any controlling being or force from my physical body, etheric body, all subtle bodies and auric field, and to neutralize and dissolve any and all control devices or energies implanted or imprinted into my physical body, etheric body, all subtle bodies and auric field. Aligned with my inner heart and soul, in unconditional love for this body vessel, I invite into my being the purest frequencies of Divine Love, Light and Grace. I welcome them home and embrace them joyfully and completely in this moment, and every moment. 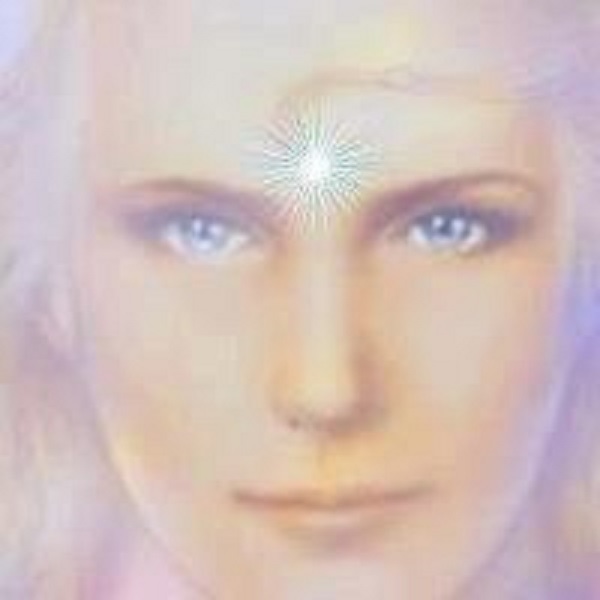 A practice from Ashura&I to activate and enhance your DNA’s capacity to hold metaphysical light and ultimately to transform into crystalline light DNA (5D physicality), which is best used regularly, as you’re building a momentum of shift and higher alignment that overwrites the old ‘programming of limitation’. Focus into your Heart, breathe golden light into it and fill your Being with the presence, the immanence, of your Inner Divine Self, a pure expression and extension of Source, across dimensions, and universes, into this Now. many thanks dear Heart Star! specially enjoyed today a joint soothing exercise of enveloping myself in the blue aqua and White “cocoon” of AA Gabriel, plus Golden Apple for protection of my energies- at the momentfeeling a bit vulnerable… too much intensity in my life and health lately. HUGS!